I feel like going to the coast...or going coastal this week. It started with finding some lovely coastal inspired decor via Etsy. Today I thought I would post some lovely coastal inspired homes. What do I love most about coastal homes... I love the - light. They look so fresh and cozy and invite you to come in and be comfortable. Here are some of my favorite interiors and some tips on how you can incorporate the look into your own home. Tip 1. 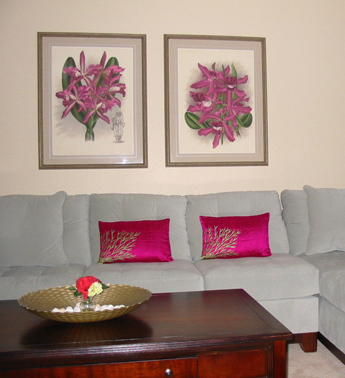 If you are starting from scratch try to keep your walls and upholstery light neutral colors. 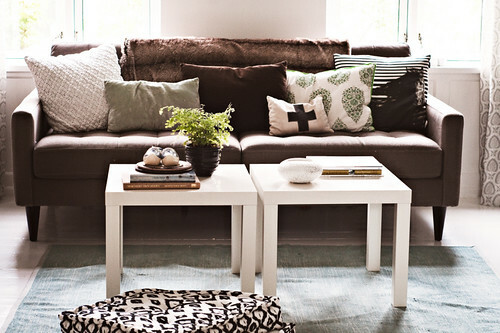 This home very has pale blue walls and light blue upholstery on the sofa. This bed room has a white palette. The slight touches of dark furniture and the wall images adds a very elegant touch to the whole look. Tip 2. 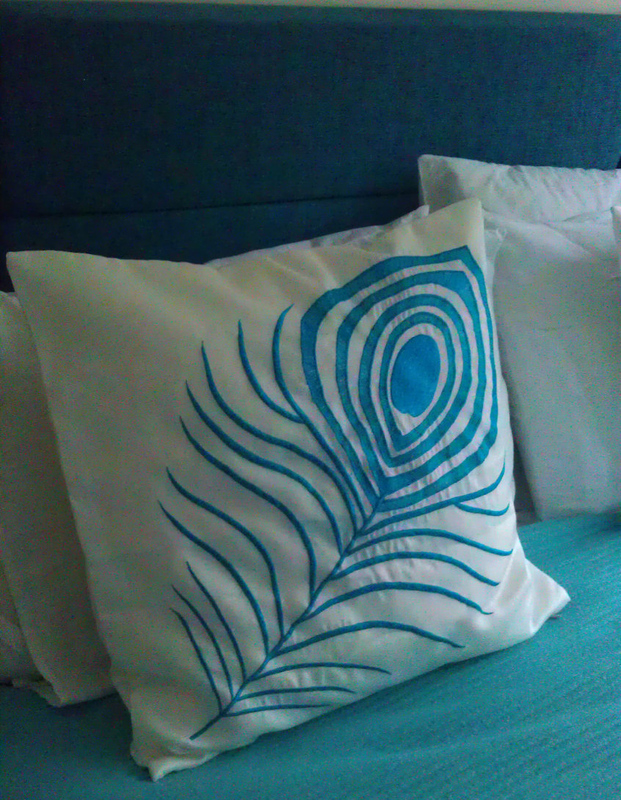 Add color using throw pillow and decorative accents. 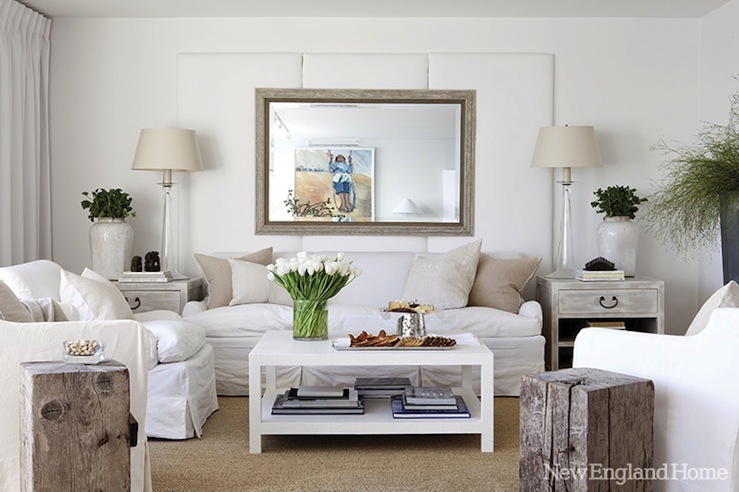 This relaxed coastal living room has a gorgeous neutral setting and a aqua, and persimmon color scheme that has been added using cushions, lamps, rugs and paintings. Tip 3. Use wood. I love the distressed wood effect on the furniture in this room . The two side tables made of wood just blends in with white side tables as they both have nicks and discoloration on them. Tip 4. Concentrate on your outdoors. 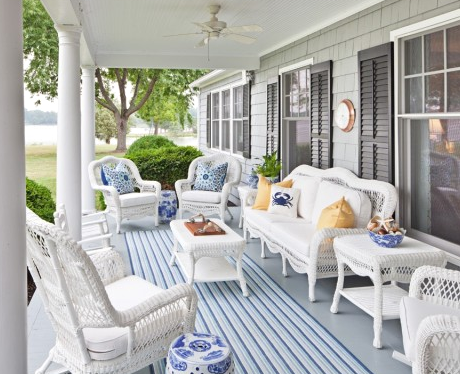 Don't skimp on decor and furniture for your patio and verandah. Tip 5. Don't follow any tips... just follow your heart. 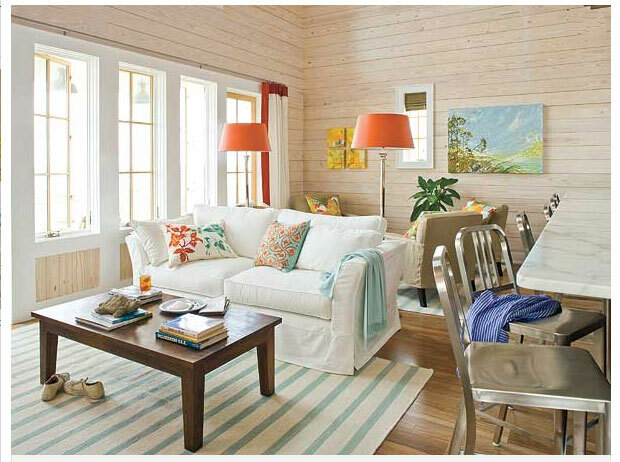 Throw the rule book out the door and you might end with a home that is not just coastal but full of personality. I recently saw a trend feature on Elle Decor- Under the Sea .Marine inspired or nautical style is classic but what I loved about this trend alert is that it moved away from the anchors, ropes, navy and white stripes to rich colorful residents of the seas. 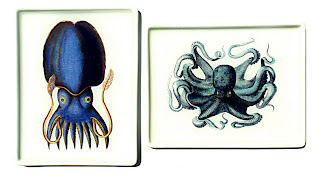 Corals , squids, gorgeous fish in cobalt, turquoise, tangerine, aqua blues and sea green all invoking the ocean. 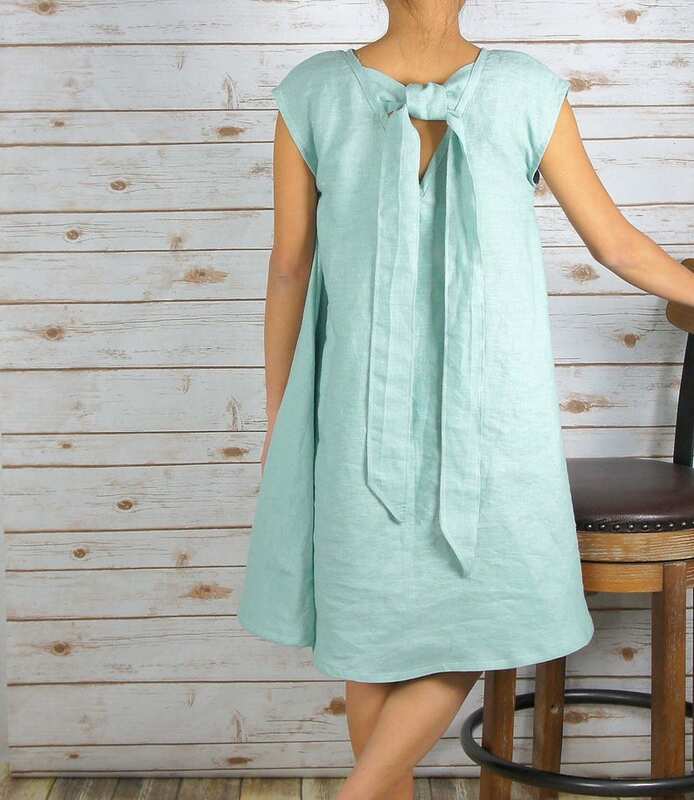 So I thought I would look through Etsy and see what vendors have to offer in a sea theme that is out of the ordinary. 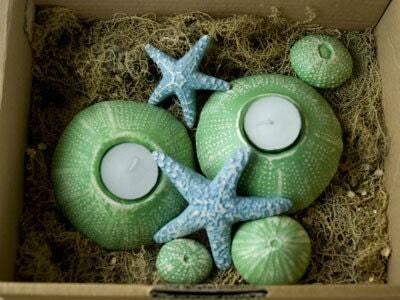 Sea Urchin Tea lights from Etsy shop pauaangel . Katrina Hutchinson crafts these from resin plaster polymer . Each piece has been moulded from real Sea Urchin shells and hand painted, the paint is distressed then they are varnished to create a protective layer. 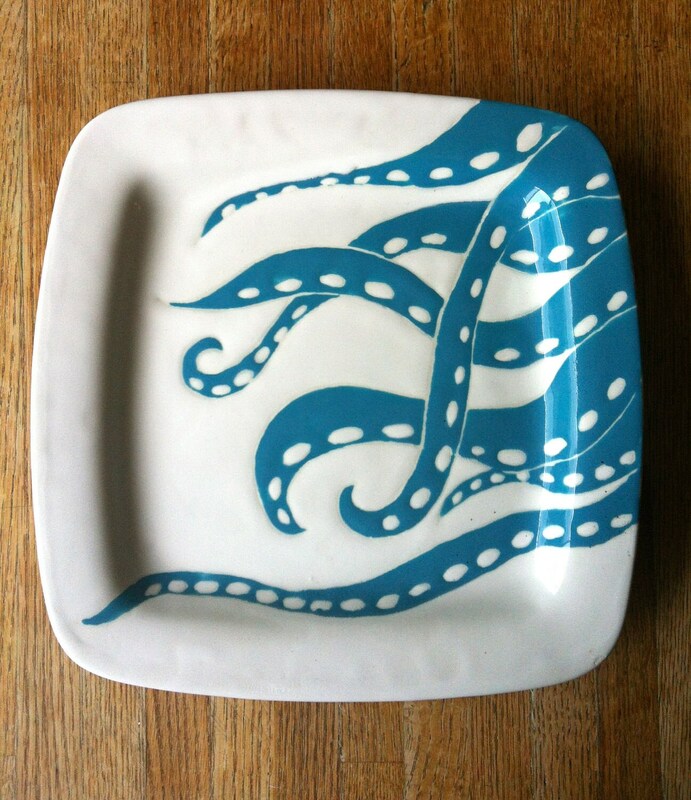 Handmade decorative pottery from claylicious . 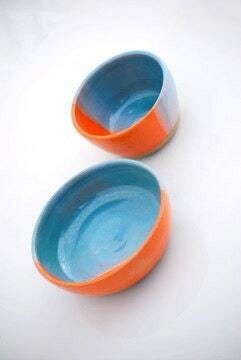 These two clay bowls are made in fresh summer colors of orange and Turquoise. 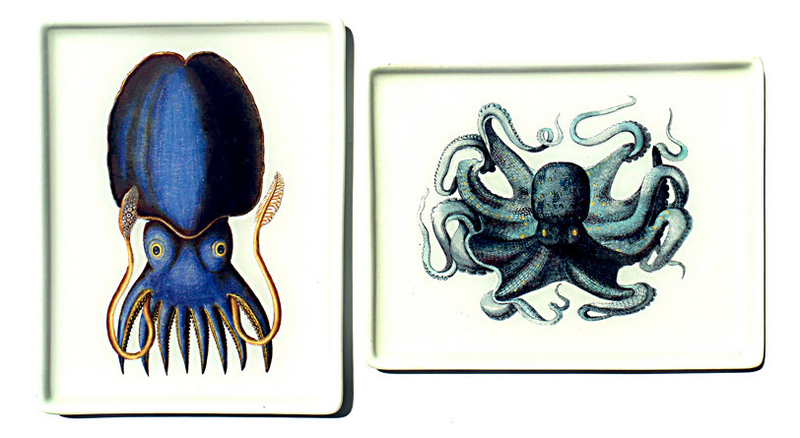 A pair of mini trays by whygirlsgoastray featuring 19th-century illustrations of Cephalopds — an octopus and squid. 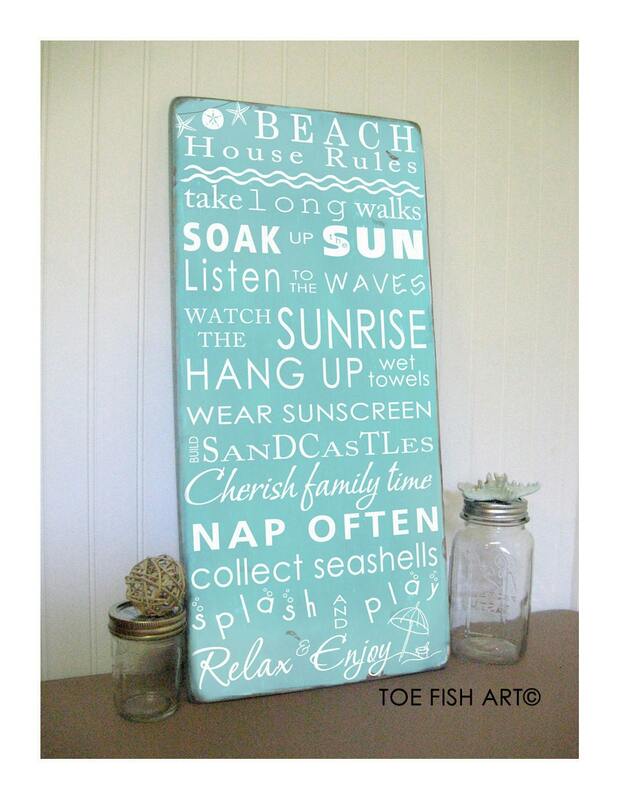 Beach House Rules Turquoise typographic wooden art sign from ToeFishArt. This item has been hand painted on a pine board in light aqua (no vinyl) then distressed and antiqued for an aged, vintage finish. 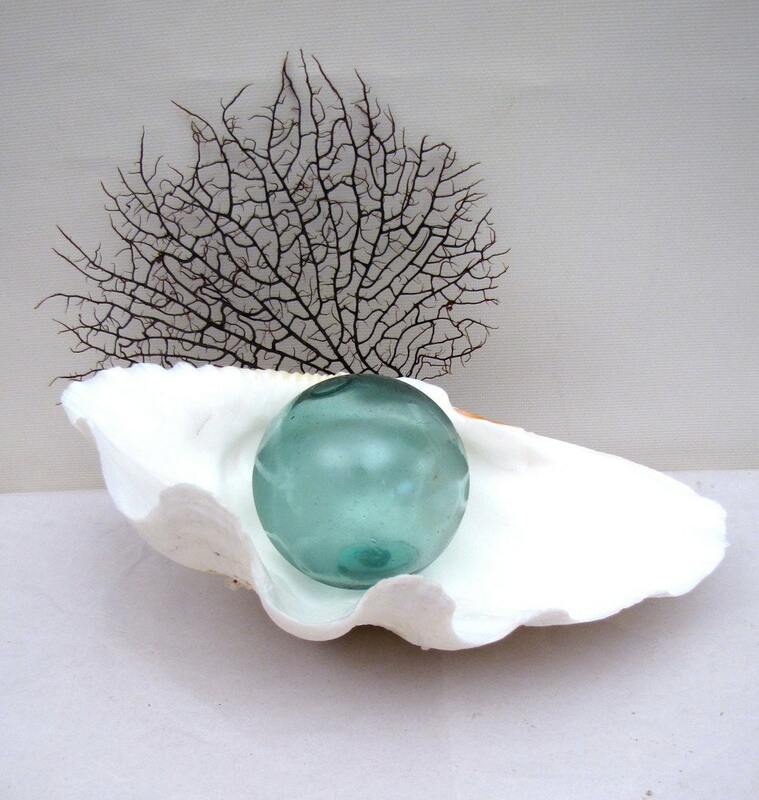 Vintage natural ruffled clam shell specimen from AustinModern. 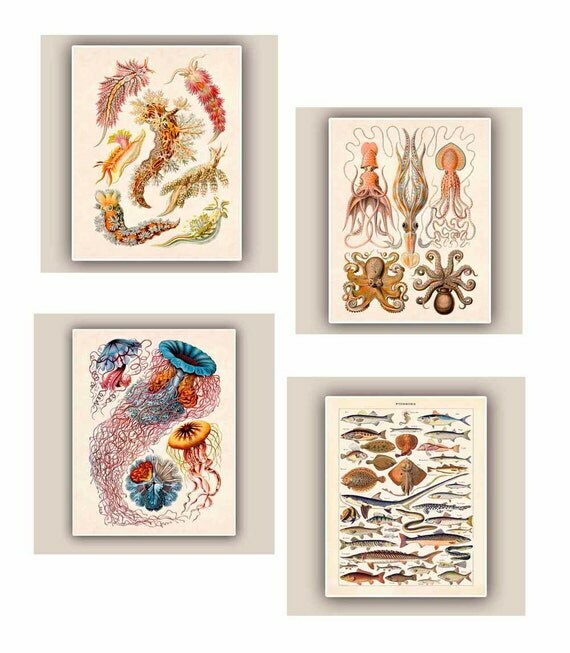 Set of 4 large vintage prints from AlgaNet featuring 'Poissons', jellyfish, cephalopods, nudibranchia. 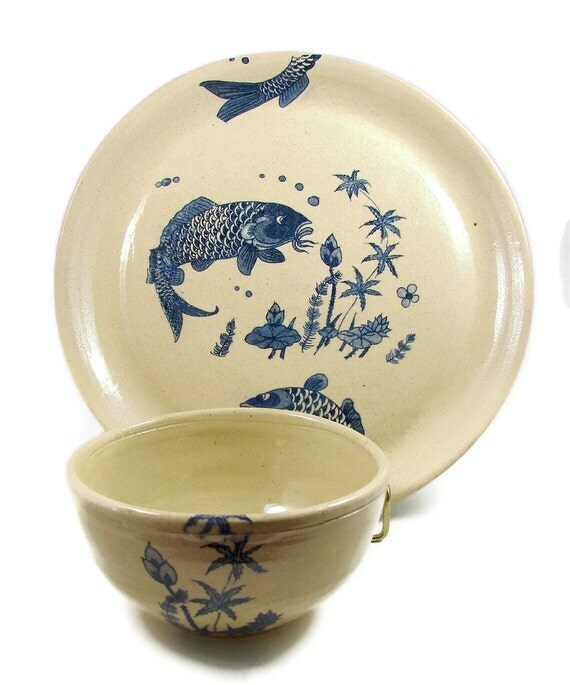 Large Stoneware Platter and Bowl Set featuring Blue Koi Fish from PatsPottery . This set has been Wheel thrown from stoneware and decorated with blue under glaze decals of the Japanese Koi Fish. 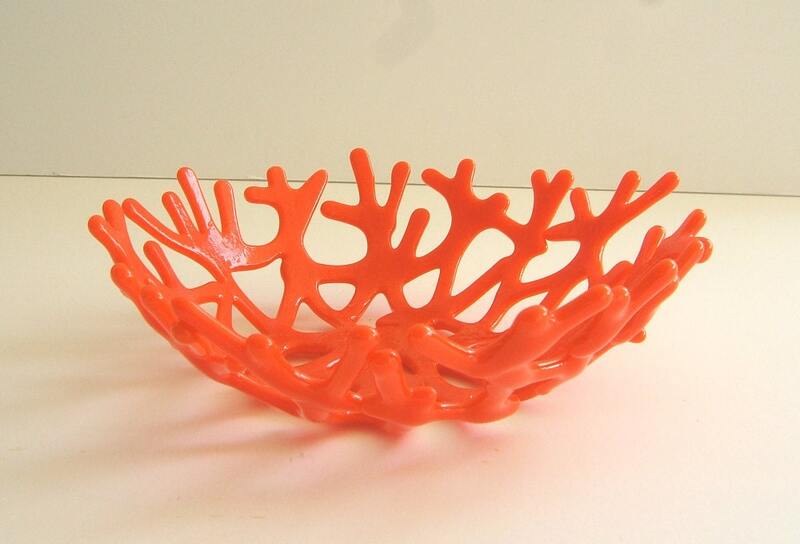 Orange art glass coral shaped bowl from UneekGlassFusions. 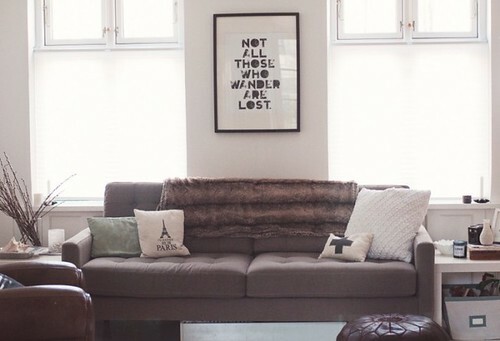 This lovely apartment Found on Trendir, belongs to Miriam Alia of Studio Living Pink. Her gorgeous home has exciting pops of colors, unique patterns and textures and a blend of styles on a back drop of crisp white walls,ornate crown molding and wenge wood floors. She has mixed classic and modern pieces to give the home a global feel. The color pink ( which is very trendy at the moment) plays an important role and we need not wonder why considering Alia's studio name. The closet is just YUMMY! 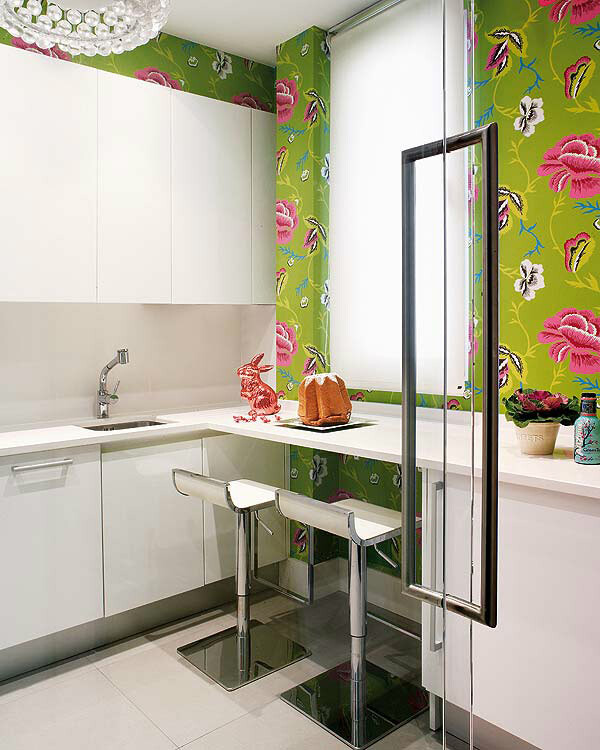 Labels: decorating with pink, Inspiring Interiors, modern interiors. 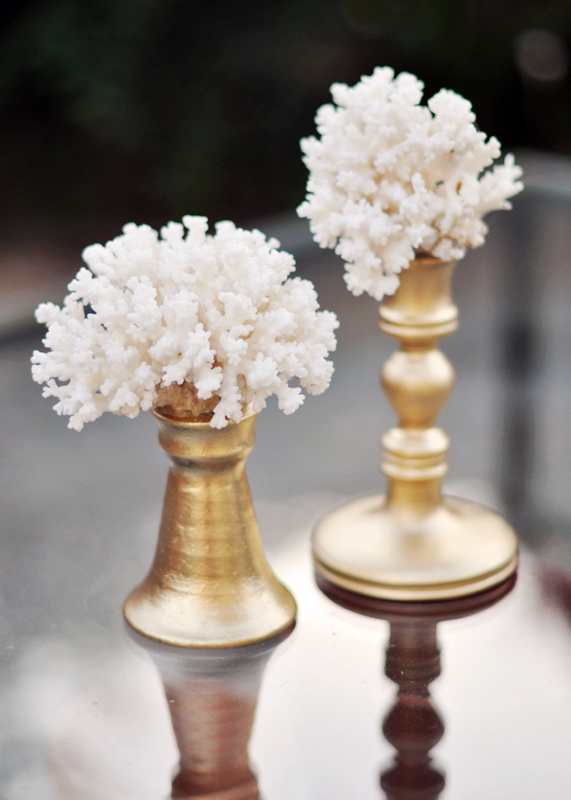 I love these gorgeous coral shell decor from Eduardo Garza . They are a lovely addition to your coastal inspired home. They can brought from Gilt Home and cost between $600-$1000. But if you feel like making you own I came across a great tutorial on Lovemegan . 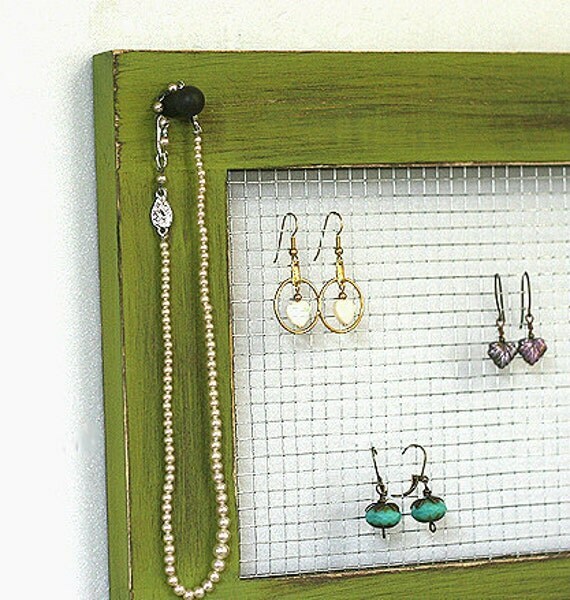 Check out her blog where she shows you how to make this for less with just these items. Frames are not just for pictures. 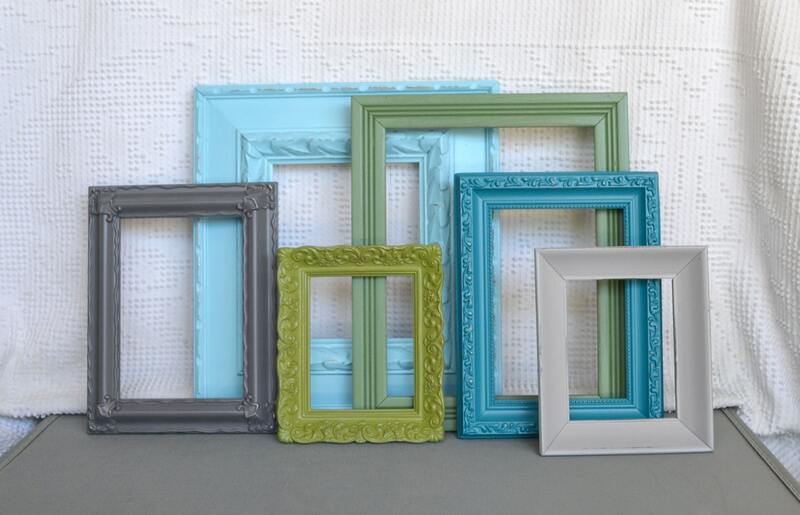 If you have some old frames in your home , there are some great ways to use them to decorate your home and even as storage.Most of these ideas are DIY ideas that you can accomplish easily. 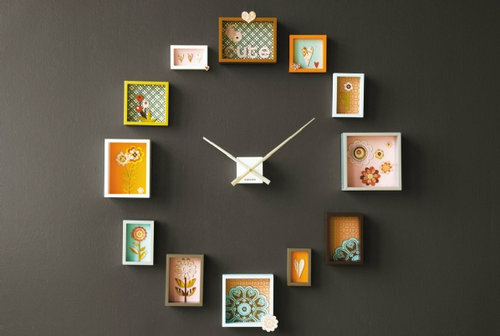 1) Remove the images off them , paint them and use them as wall decor. 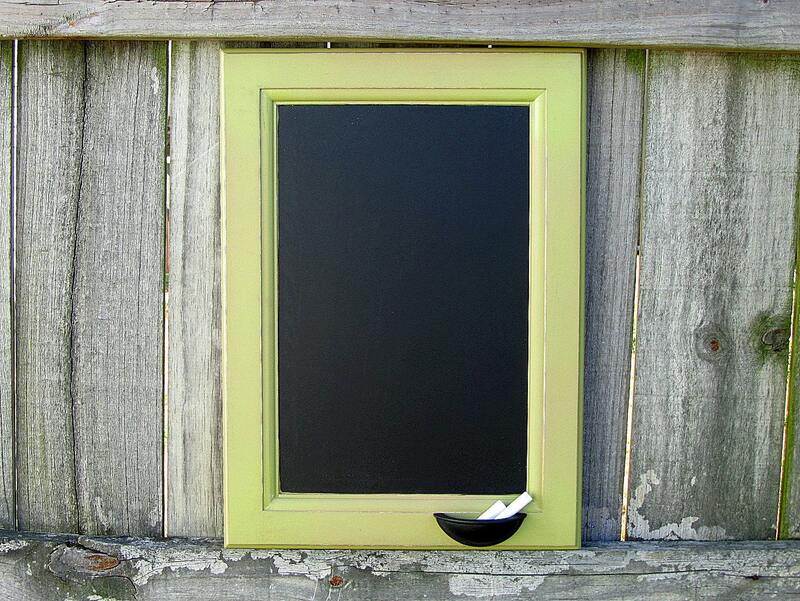 8) Frame a chalk board, use it in your kitchen , on your desk or in your living room to remember useful things or just make a statement. 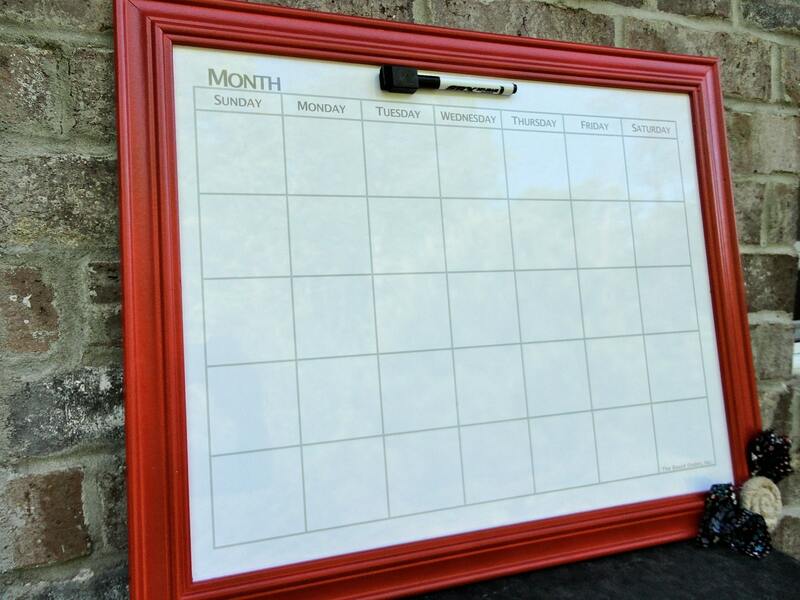 If you are not in the mood to 'do it yourself', or if you love some of these ideas but don't have the right frames to do them here are some great stores Etsy who will do all the work for you. 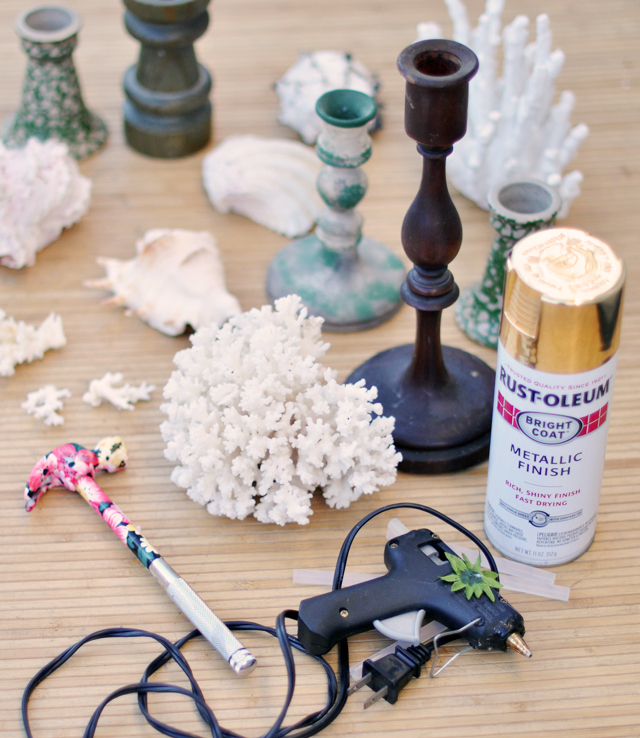 A little effort and creativity can change the whole look of your home. I love this before and after image that I came across on Decor8. The two side table were brought forward. 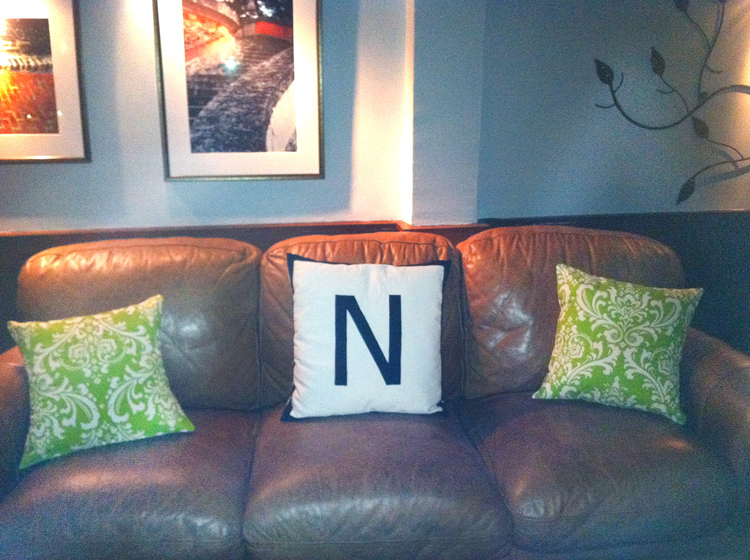 More scatter cushions added on the sofa ...giving more depth and character. I love seeing how customers use our throw pillows in their homes. 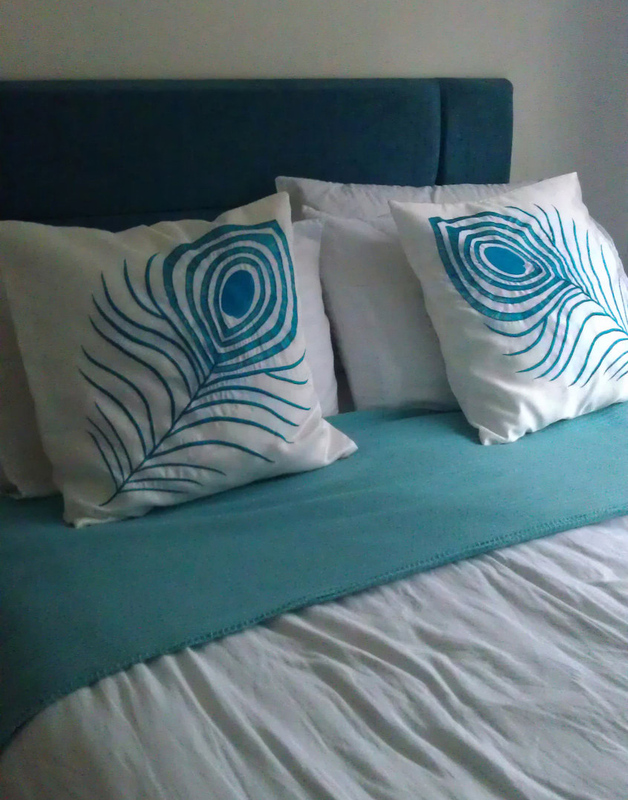 Here are some images sent by buyers who love our work. Some custom made monogram pillow covers done in duck egg blue and brown. The customer sent us the from she wanted to use and we appliqued it into the blue pillow covers. Fuchsia pink and gray...and matching the images hung on the wall. Custom order , Belle wanted one of our ring pillow designs to be made into throw pillow covers for her room. Thank you so much for making us a part of you home.